Solve the Problem of waiting for your Load information. Instant Cloud-based Load Reporting and Management Software for Wheel Loader Scales. 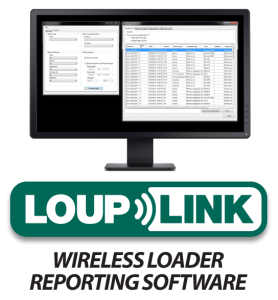 Loup Link is an easy to use software and hardware package for wireless loading data transfer. With this hardware package, loading data is automatically uploaded from the loader to a secure server. This can include Customer info, Product names, Truck numbers, Date, Time and much more. 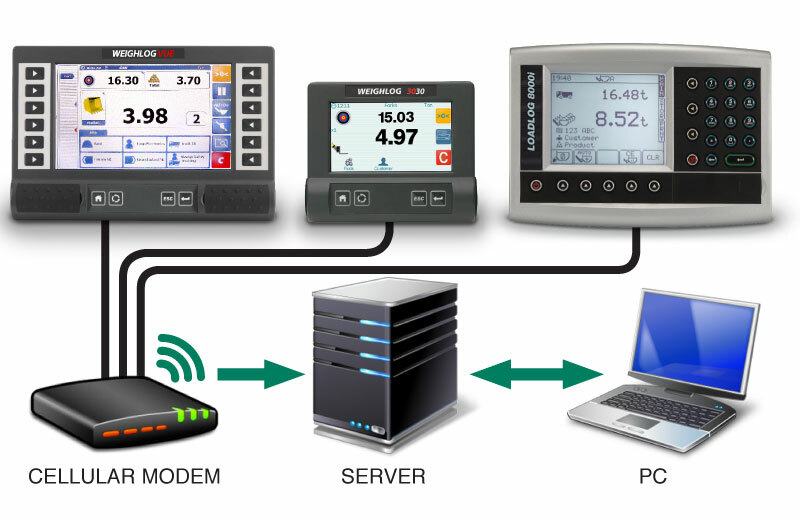 This information can then be retrieved by any PC running Loup Link software to create custom Load Reports. Compatible with Weighlog 3030, Weighlog Vue and Loadlog 8000i scale systems. Automatically sync load records as they are completed from any loader at any location. Store data by reference lists including Customers, Products, Trucks, Drivers, Destinations and more. Use on as many computers as you want, no extra liscense fees. With Loup Link you can create a broad report for all load data or filter it down to the amount of salt loaded onto Truck #15 throughout the month of January. 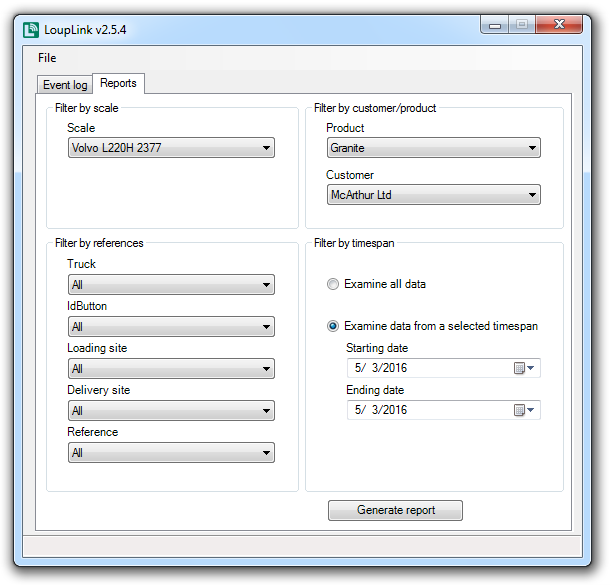 Loup Link allows you to easily create reports specific to any need you have. Sort by Machine, Product, Customer, Truck, Location, Date and more. Errors can and will occasionally happen. A loader operator may unknowingly load 10 tons of Salt when they intended to load 10 tons of Sand. Load Link allows you to go back through past loading records and change errors such as these. Changes are then synced with the server and all other computers using Loup Link will see the corrected information. All Load Reports can be easily exported to a Excel (.XLS) file for use in Excel or other spreadsheet application you wish to use. Use Loup Link on as many computers as you need. No extra license fees for additional PCs.